Brett Eldredge is kicking off his first-ever nationwide headlining tour in 2018. The Long Way Tour will launch April 5 in Idaho and make 10 cross-country stops, with tickets going on sale beginning Dec. 8. The tour will also feature special guest/labelmate Devin Dawson and up-and-coming artist Jillian Jaqueline. 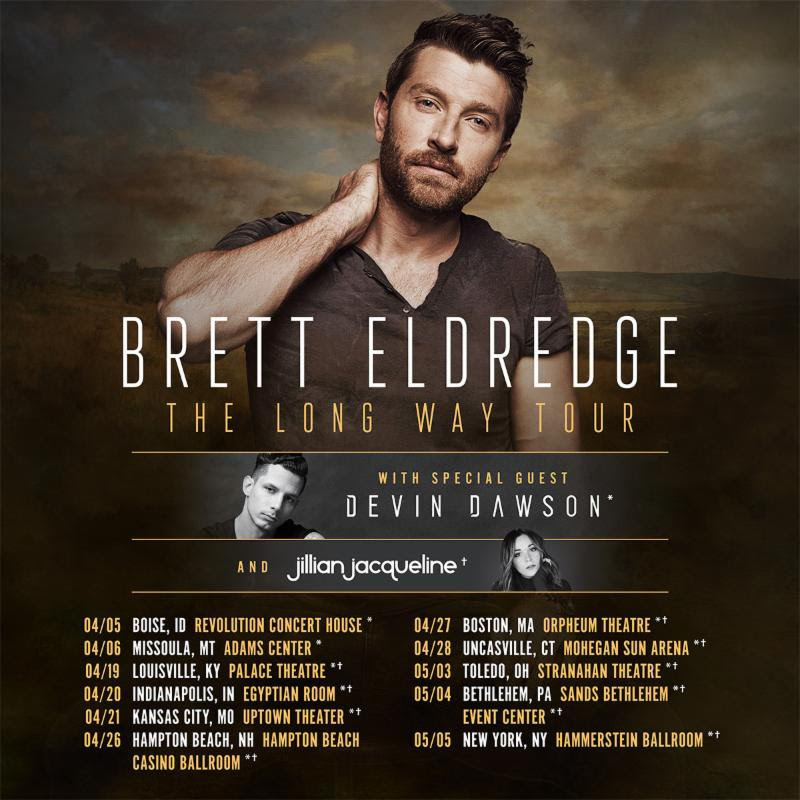 Prior to hitting the road for his headlining dates, Eldredge will join Blake Shelton for the Country Music Freaks Tour beginning in February alongside Carly Pearce and Trace Adkins.